Ok I have a confession to make. 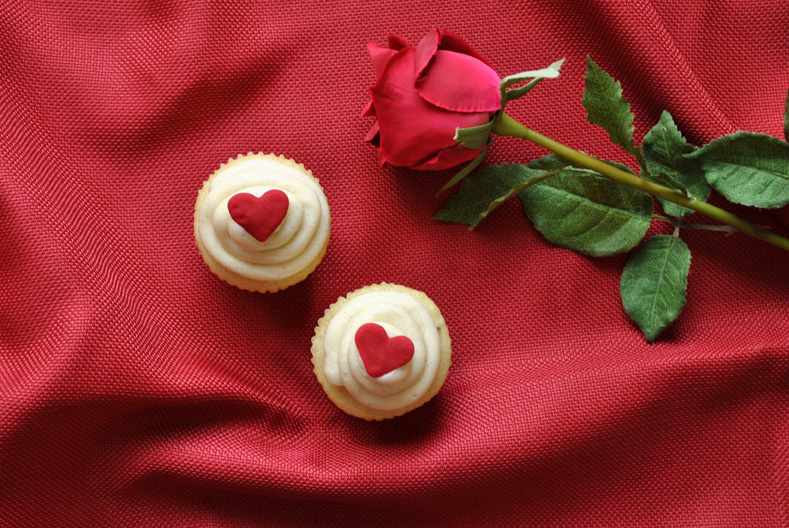 I’m in love with these vanilla cupcakes. 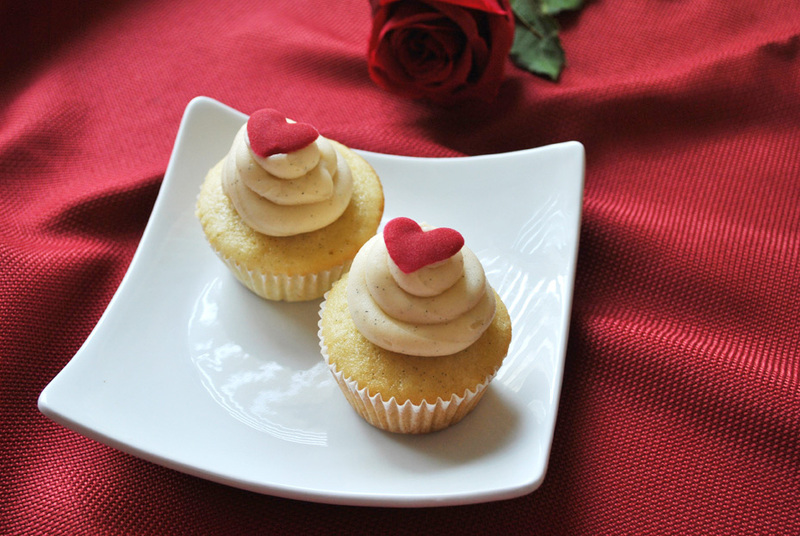 So I know that Valentine’s Day falls on a week day, but these vanilla cupcakes are so simple to make and they make a great gift for your loved ones. I’m always on the search for a great vanilla cake recipe, and since I baked my famous Chewy Chocolate Chip Brownies last year for my friends I decided to bake the best vanilla cupcakes this year. 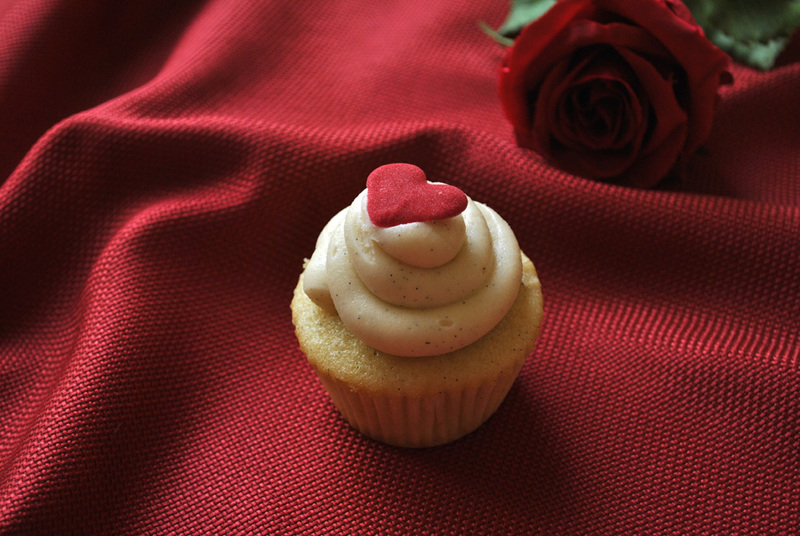 I stumbled upon Cupcake Project‘s recipe called “The Ultimate Vanilla Cupcake – Test Baked by 50 Bakers and Counting”. I was so excited to try them out! The reviews were great and the recipe called for vanilla beans. Ohhhh yum. The cake recipe is very simple and it contains basic ingredients such as oil, sugar, and cake flour (which I replaced with all purpose flour and cornstarch). 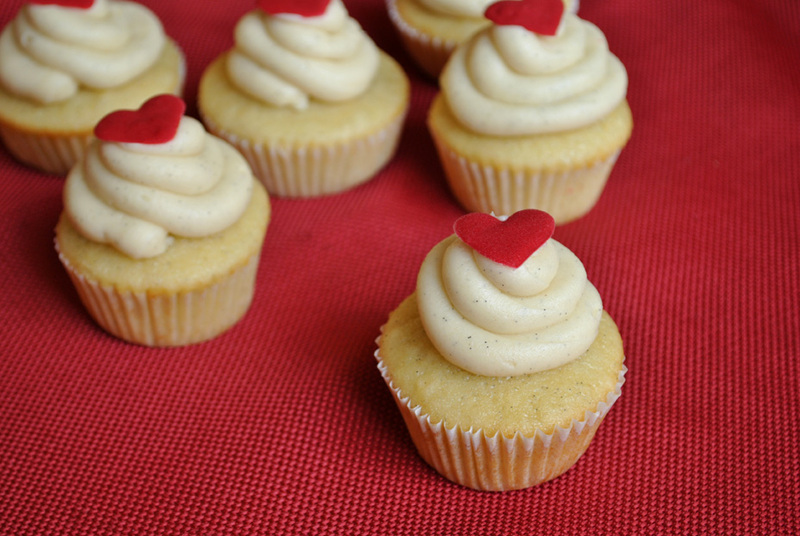 The vanilla bean frosting requires vanilla bean paste, but you can always replace this ingredient with a vanilla bean. It’s important to use the best quality ingredients in all of your baking endeavors. Add butter and mix on medium-low speed for three minutes (you’ll end up with a very fine crumb texture). Bake for 14 minutes and then test to see if they are done. They are done when a toothpick comes out without wet batter stuck to it. The cupcakes should appear white, NOT a golden brown. If they are not done, test again every two minutes. When the cupcakes are done, remove them immediately from the tins and leave them on a cooling rack or on your counter to cool. 4 teaspoons vanilla bean paste (I got my Nielsen Massey vanilla bean paste from here), or substitute with a vanilla bean.